Books are just the beginning. Our dedicated staff can help you to find what you need, access primary research material, and develop your study and research skills. What you need to know about borrowing, renewing and returning the items you need and how to request items that we don’t have in our libraries. Skills@Library supports taught students to develop academic skills, through online resources, workshops, 1-to-1 appointments, drop-in sessions and teaching in the curriculum. Delve into our outstanding collections of rare books, manuscripts, art and archives and find unique primary research material. There are four libraries on campus, along with two public galleries displaying rare items and artworks. There is one off-campus library in St James's Hospital. 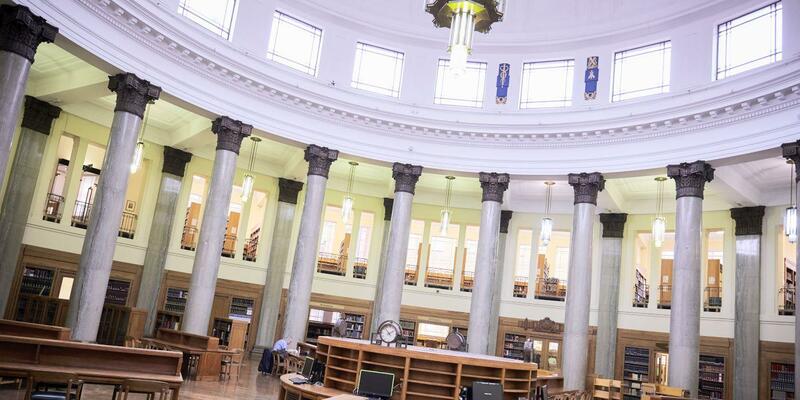 Your guide to using the libraries at the University of Leeds. Your guide to how the Library supports researchers at the University of Leeds.